Speckled kingnsake. Photo by Jim Conrad. Public Domain. 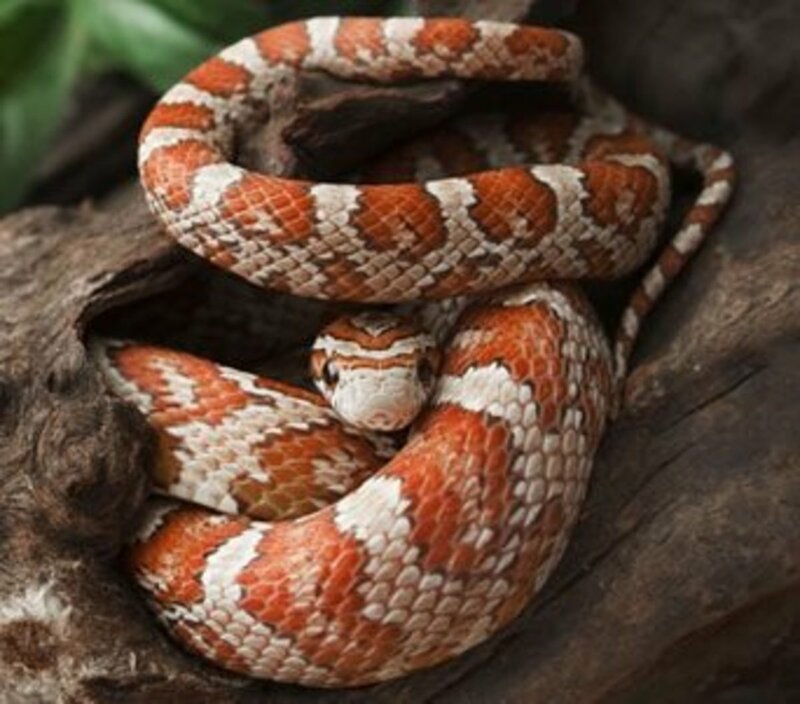 Also commonly referred to as Guinea snake and Says kingsnake, the speckled kingsnake is a non-venomous snake commonly found in the United States. 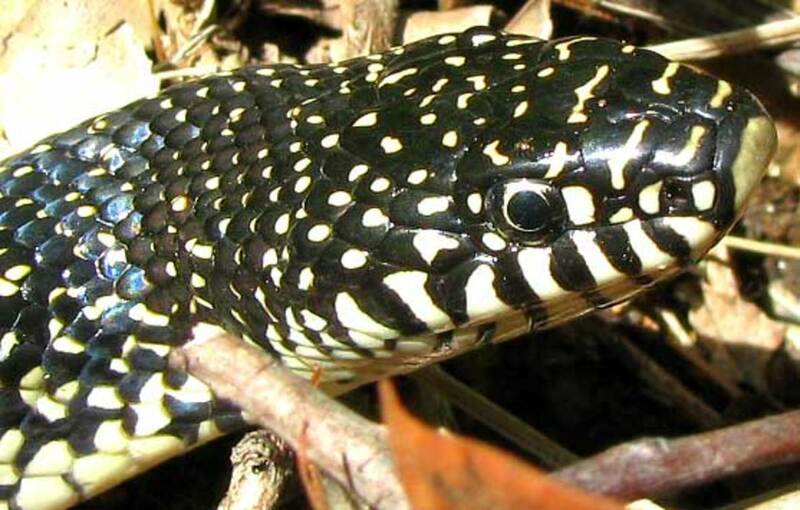 The speckled kingsnake has a black base color that is speckled with yellow or white. This can also go the other way around. 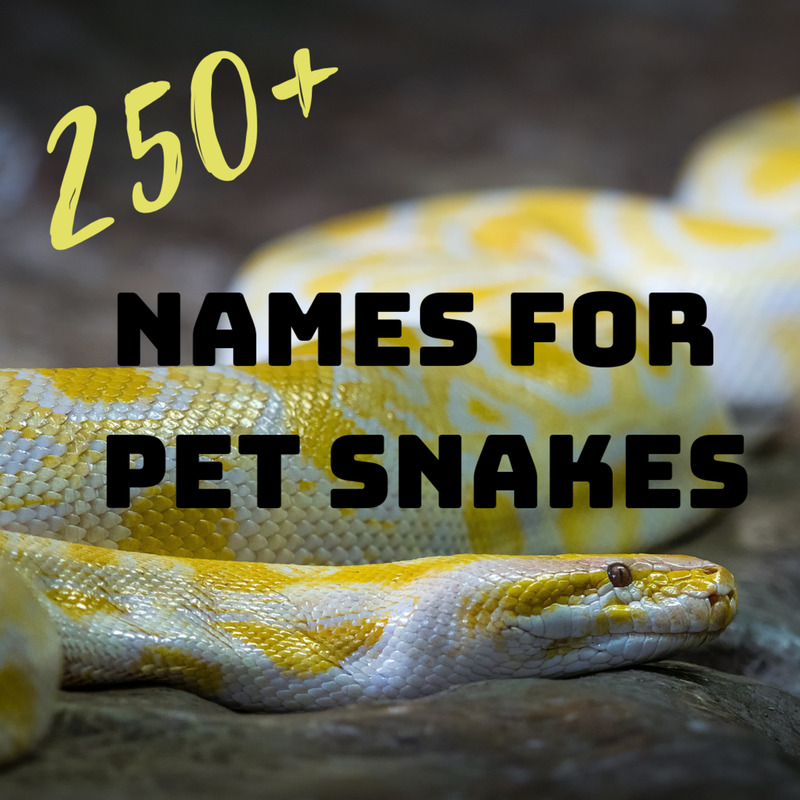 Almost every scale on the top side of the snake's body will have a yellow or white fleck. This can almost make the snake look gray like a guinea, which I'm assuming is where that nick name came from. The underside of the speckled kingsnakes body is yellow or white. 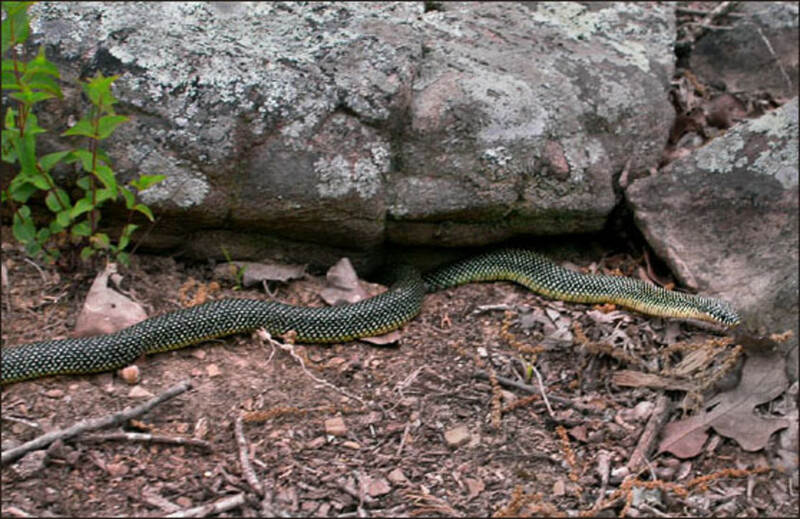 An adult speckled kingsnake can range between 35 – 48 inches with a whopping record of 72 inches (6ft.). Speckled kingsnakes can be found throughout a wide area of the south eastern to middle of the United States including Missouri, Arkansas, Louisiana, Alabama, Texas, Oklahoma, Kansas, etc..
Speckled kingsnakes can be found in anywhere from grasslands to forested areas like most kingsnakes, however the speckled kingsnake can also be found commonly in swamps and wetlands. When I was a child I found one once under a huge rock near a pond. I had a fascination for snakes and was always trying to find them. Every time I visited this pond I always looked at this giant rock, and thought to myself that there just had to be a snake under it. After much begging and nagging I finally got someone to push over the giant rock. I was delighted to find a small speckled kingsnake and a milksnake hanging out under there. It was the first time I ever got to see a speckled kingsnake or a milksnake out in the wild. When I was 8 or 9 I found one at my grandparent's business out in the country. This one was about 2 feet long and was hiding under some rotted wood I was cleaning up. I was thrilled. It wasn't aggressive at all so I scooped it up, and ran to the front of my grandparent's museum to show off my find. Needless to say, neither the customers or my grandmother was overly thrilled with my find. There were probably 30 or 40 customers roaming around and not many of them took well to the little boy running around with the wild crazy looking snake. I thought my poor sweet grandmother was going to have a heart attack. speckled kinsnake in a tree. Photo by Cozcoz, This work is licensed under the Creative Commons Attribution-ShareAlike 3.0 License. Speckled kingsnakes aren't picky eaters. 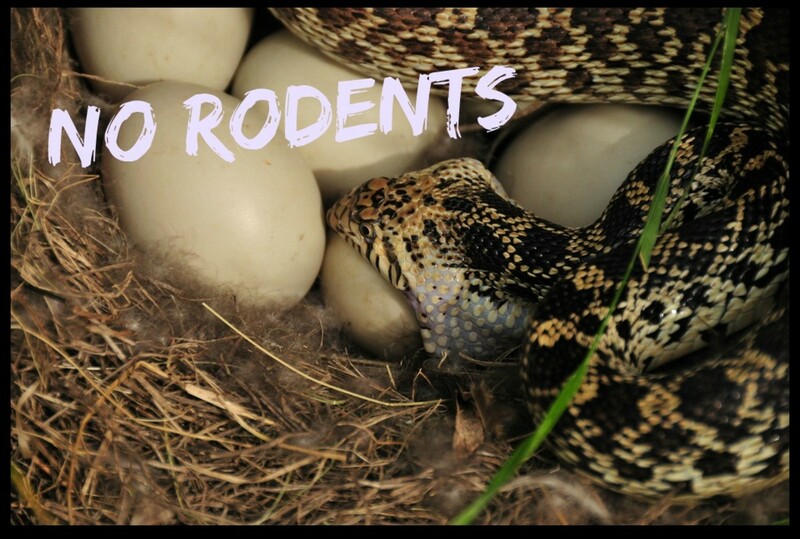 They eat rodents, other reptiles, amphibians, eggs, or anything that comes across their path that appears to be food. 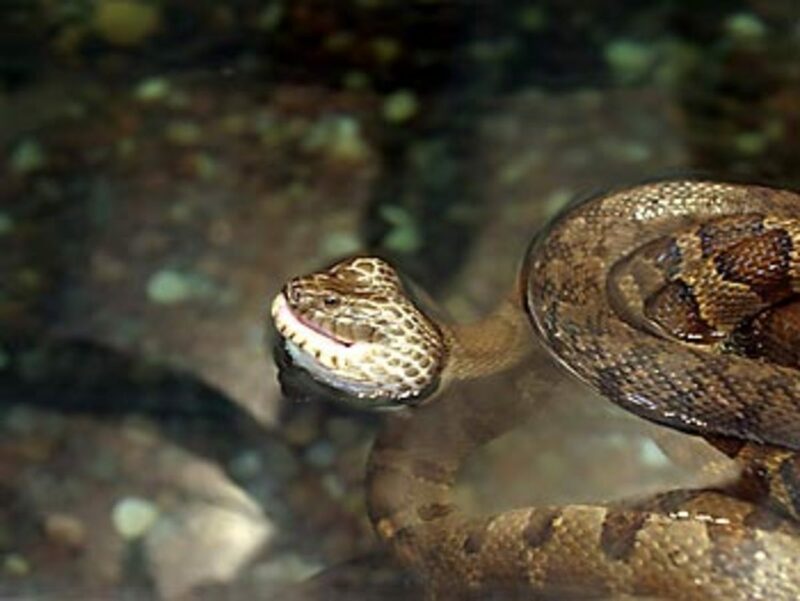 They are non-venomous constrictors.The thing that makes all kingsnakes most popular is their immunity to the venom of the pit vipers found in the United States. 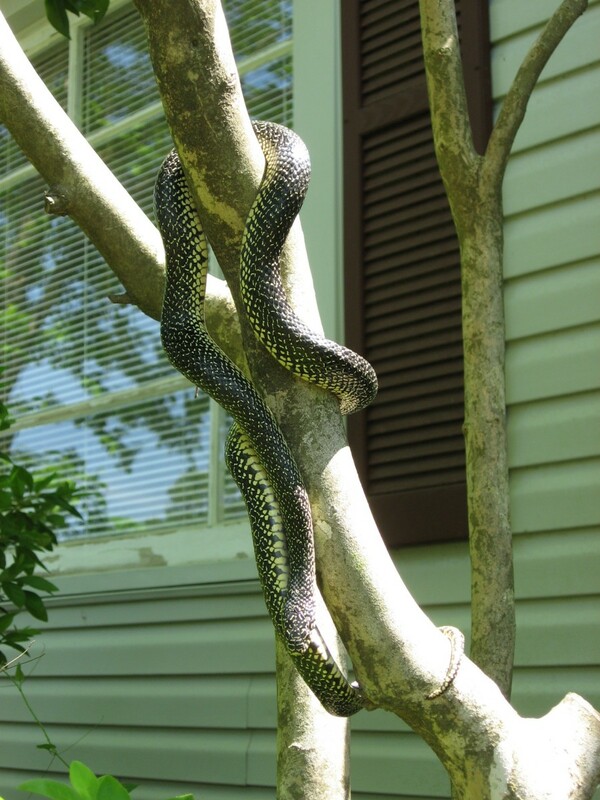 A speckled kingsnake can kill and eat rattlesnakes, copperheads, and water moccasins without any fear of their venom. It is quite the spectacle to witness. There are several videos of this on the internet you can watch. While I don't condone doing this, it is amazing to watch the venomous snakes we've been raised to fear grovel before the mighty kingsnake. Like most kingsnakes, the speckled kingsnake will rattle it's tail on the ground to emulate a rattlesnake when threatened. They will also release a smelly musk and poop on would be attackers. Unlike many species of snakes, speckled kingsnakes do have a reputation as biters when grabbed by people. 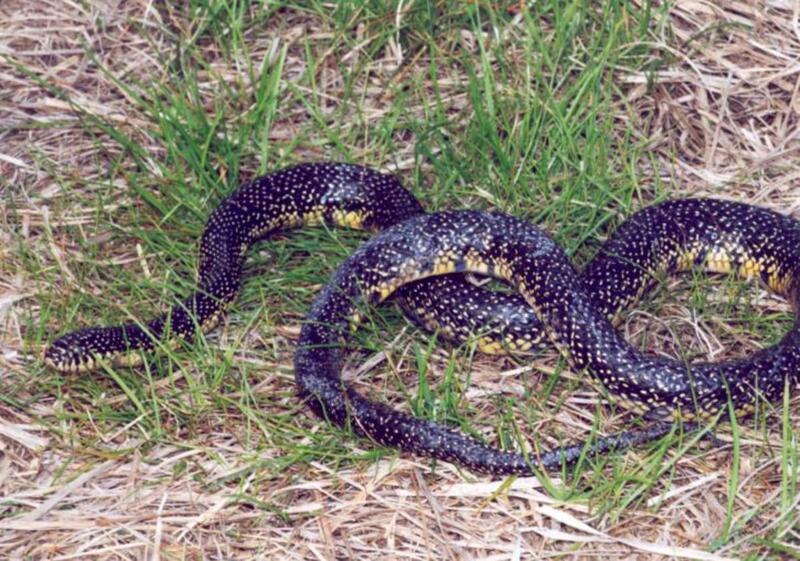 Of course the speckled kingsnake is nonvenomous and a bite to a human should cause little harm. Despite this reputation I can tell you that the two I caught as a child didn't bite me. In fact I don't particularly remember them even acting aggressively at all. 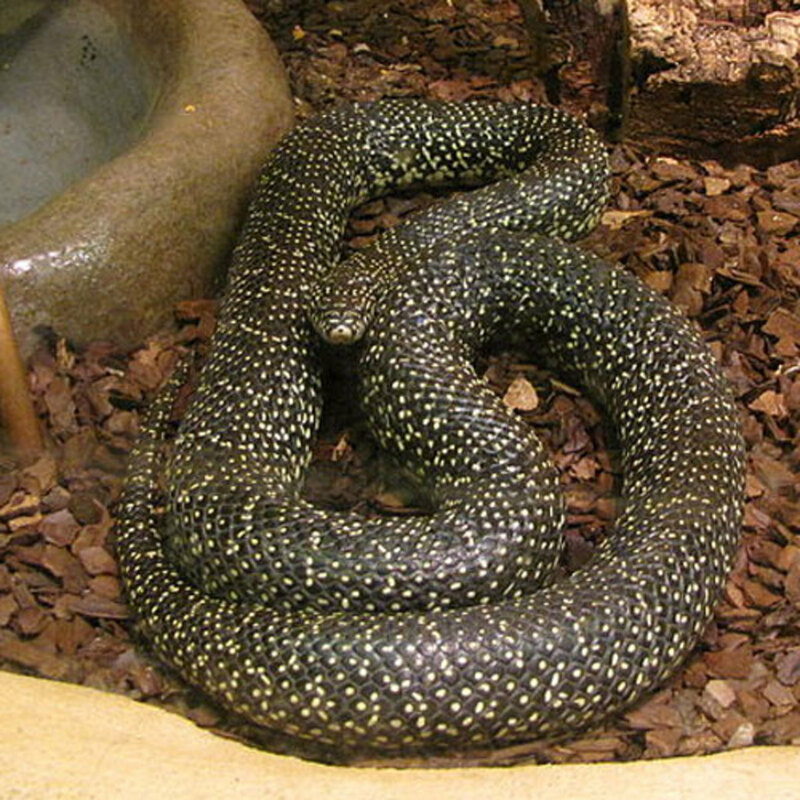 Speckled kingsnakes are commonly kept as pets, and in captivity are known for being very docile. Even speckled kingsnakes taken from the wild are known to adapt well and become docile in captivity. I'm sure that you could find one at a pet store, but I'm not sure it will serve the purpose you want. I doubt you are wanting to catch copperheads to feed to your snake, which would be extremely dangerous. And releasing a snake that's been raised in captivity will usually lead to death. I suppose there's a chance you could release it near your house and that it would stay and survive, but it's not likely. Can we buy these in Arkansas? We live almost to Louisianna and have run into too many copperheads this year. That's a common a misnomer because every hillbilly knows that all snakes taste like chicken! Thanks for the comment! 6 years ago from North Carolina, U.S.
And here I thought Hillbillies identify snakes by how they taste!